Senate Bill 1102 was drafted in response to a couple of heartwrenching stories where the families of individuals who had died an “unattended death,” including suicide and overdose, were denied access to records related to their loved ones’ deaths. Sen. Scott Surovell’s bill, as passed unanimously by both chambers of the Virginia General Assembly, says that immediate family members are entitled to those records once it’s been decided that no criminal charges will be brought. The only real testimony against the bill came from one law enforcement representative during a House subcommittee. Nonetheless, Governor Terry McAuliffe took the advice of a dozen or so police departments that wrote him after the bill’s passage, urging him to veto the bill. The governor thus proposed amendments allowing the police to provide a summary to the family, though the amendments don’t provide any guidance to what must be included in such a summary. Presumably, it would be in the complete discretion of the department. The General Assembly will have to vote on the proposed amendments at its reconvene session on April 5. VCOG urges the body to reject the amendments. VCOG is pleased to announce the launch of a new blog: Truth in the Field. The blog we will highlight stories that help explain how journalists, citizens, academics, and activists have accessed and used government information. We will also hear from government officials about their views on access to information, and from government employees about what makes for a smooth FOIA transaction. Visit the blog’s home page, which includes links to the blog’s debut and a FOIA primer. During March, VCOG’s executive director, Megan Rhyne, held a FOIA workshop for a journalism class at Virginia Commonwealth via Google Hangout. She taught a three-part class on FOIA and the Virginia General Assembly at William & Mary’s lifelong learning program. And she and Richmond Times-Dispatch reporter Patrick Wilson were guest speakers to a government class at Christopher Newport University. VCOG’s next annual conference will be Nov. 16 at the Richmond Times-Dispatch building. Many thanks to the RTD’s publisher, Tom Silvestri, and managing editor, Paige Mudd, for hosting! VCOG board member, Frank LoMonte, has been named the new director at the Brechner Center, a freedom of information center and source for media law developments at the College of Journalism and Communications, University of Florida. LoMonte will leave his current post as director of the Student Press Law Center at the end of July. AO-01-17 reviews several requests made to the City of Newport News and its Economic/Industrial Development Authority. AO-02-17 discusses whether members of a public body could legally vote through a meetings application system like BoardDocs Pro. VCOG celebrated Sunshine Week with a Pop-Up Sunshine Day of open government updates, lunch and a movie. Around 40 people attended to hear short presentations on recent legislation, tracking the legislature, tracking the state budget process, electronic meetings, access to court data, TV news cameras, FOIA management tools and what FOIA looks like to a new town council member who used to be a devoted town council follower. During lunch, we watched the movie “Spotlight” on the big screen in the House meeting room in the Capitol. Thanks to all who helped with presentations, those who attended, those who made contributions to support this free event, the caterers at Meriwether’s at the Capitol and House staff, particularly Aubrey Stewart. For advocates of government transparency, the General Assembly's 2017 session was a mixed bag, resulting in bills that both increased and decreased information available under the Freedom of Information Act. 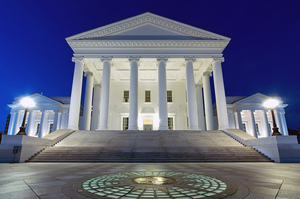 According to Megan Rhyne, executive director of the Virginia Coalition for Open Government, the session saw fewer FOIA-related bills than in past years. Even so, the group stayed busy opposing legislation that Rhyne said would keep important information from the public. Read more on the U.S. News & World Report website. The Chesapeake School Board settled a lawsuit in which a family claimed staff at Southeastern Elementary School regularly restrained a young boy with disabilities in a special chair for the sake of convenience. The school division, however, won’t release the amount it will pay under the settlement’s terms. The school argues the financial settlement will not be plaid by “public funds” since the check will be cut by VML Insurance Programs, a private entity that exclusively serves government clients. Norfolk announced it was joining What Works Cities, an effort sponsored by Bloomberg Philanthropies to improve public access to data about government. Virginia Beach is already a participant and has used the initiative to launch a data portal of allowing for analysis of crime statistics, restaurant inspection results, public-employee salaries and code-enforcement cases. What started as a FOIA request for records on why the Peninsula Airport Commission was not renewing the lease of a food vendor at the airport resulted in the replacement of an attorney for the commission, the placement of the executive director onto paid leave, and the resignation of the Newport News city manager as a commission member (the manager also resigned from his post with the city). On March 8, the commission directed its bank to release records related to the loan it guaranteed for the troubled People Express Airlines to state auditors investigating the transaction, but as of March 23, the records had still not been made available. Financial disclosure forms weren’t the only difficult public record to locate last month. The first budget presented by Richmond Mayor Levar Stoney was briefly posted online before being pulled from the website for two days, until after the Richmond City Council meeting where the budget was presented concluded. Until then, not even council members had access to the full budget. The mayor’s office even asked the council members to return the hard copies they were given at the meeting. Responding to citizen complaints over the past year, Charlottesville City Council agreed to walk back some of the changes it made to the public comment period of its meetings. The council dropped certain prohibitions on speakers, and removed the mayor’s privilege to order public audio and video equipment off during the meetings. The Purcellville Town Council also changed some of its meeting rules, two years after their initial implementation, but what drew the most attention was the failed attempt at a closed-door session the town held to discuss potential discipline against one member of the council for threats against another member. The motion to go into closed session failed after some members said they worried they were acting to hastily. The Fairfax County police chief revealed the name of the police officer involved in a use of deadly force incident. Master Police Officer Lance Guckenberger had earlier won a temporary restraining order against the chief to prevent him from revealing his name, but the chief eventually published the name after conducting a risk assessment, including the possibility of threats against the officer or his family. Tensions between the Stephens City Town Council and the Frederick County Sanitation Authority rose when the the authority filed a FOIA request for anything related to revenue or expenses for the town’s water and sewer system. The town said the request was too broad, “basically asking us to be mind readers,” a town council member said, and added that the town would require a $5,000 prepayment for past requests before it would proceed. Developers touting a plan to build an oceanfront arena previously rejected by Virginia Beach were back again in March, this time with a new financing plan. The city would not, however, release the proposal though some said it was so similar to a previous plan that the city council wouldn’t even have to vote on it. The ACLU of Virginia lodged a protest against changes to the way the Virginia Department of Corrections allows certain individuals to view the capital punishment process. The new protocol calls for a curtain in the execution chamber to be drawn prior to the inmate being escorted inside by the execution team, blocking the view from an enclosed citizen and media witnesses area. The Powhatan County school system was thrown into panic when more than 900 W-2 forms of school employees were mailed out in response to a possible email phishing scam. The forms included Social Security numbers, wages and taxes.